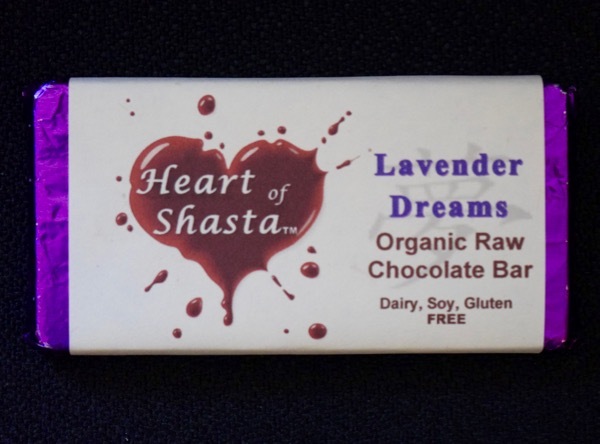 Today's Lavender Dreams bar was from Heart of Shasta (Mt. Shasta, CA). This was not a heat-tempered bar that broke with a hard snap, but rather one that was soft, uniformly creamy, fudgey and truffle-like—only without the sugar. Lightly sweetened with honey instead of refined sugar, with a pleasing melt and mouth feel from cacao and coconut fat, this raw bar was made from 100% cacao powder, cacao butter, honey, coconut oil and lavender. The lavender flavor was authentic, pleasing, well-balanced and uniform throughout the bar. 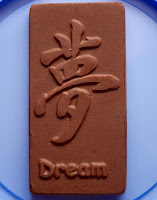 As with most raw chocolate made in this fashion, there is less of a sugar "buzz" and fewer spikes of roasted, fruit and other flavors from the cacao that develop in fermentation, roasting and other stages of chocolate-making where temperatures exceed that allowed for "raw" chocolate. And that may be a good thing, depending on what your preferences might be. 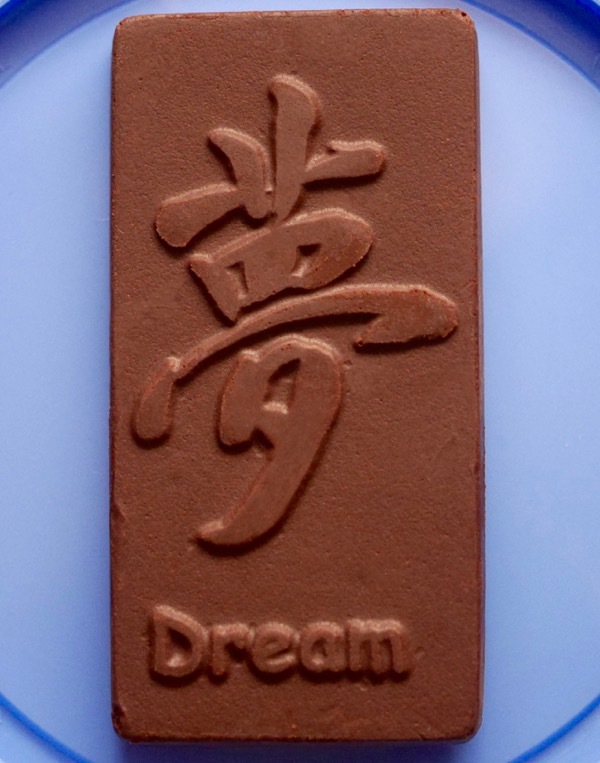 If you're curious about raw chocolate, this might be a good brand to try. The company offers a line of flavored bars. This raw and organic bar was Dairy, Soy and Gluten Free.